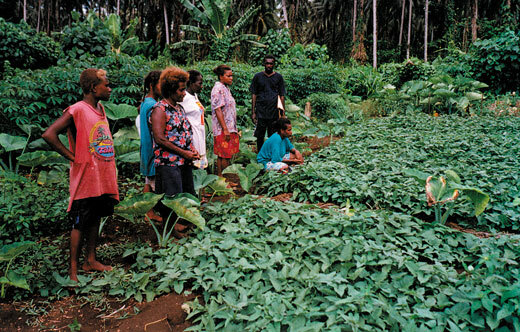 Traditional agricultural practices that communities rely on in the Solomon Islands have been placed under increasing pressure from emerging climate change risks. The preferred solution is to support communities to better manage and adapt to climate change pressures in the context of food security through community based adaptation. • Fostered the generation and spread of relevant knowledge for assisting decision-making at the community and policy-formulation level. 1) Promoted and piloted community adaptation activities enhancing food security and livelihood resilience in pilot communities in at least 3 selected regions. 3) Fostered the generation and spread of relevant knowledge for assisting decision-making at the community and policy-formulation level.